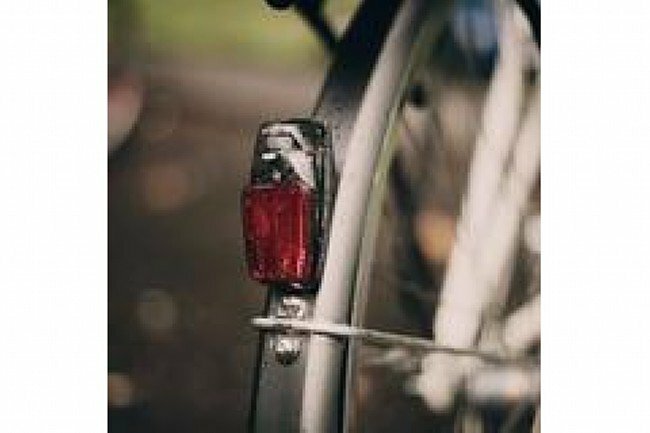 The FenderBot Rear Light mounts directly to your fender, so it's always with you after the sun sets. 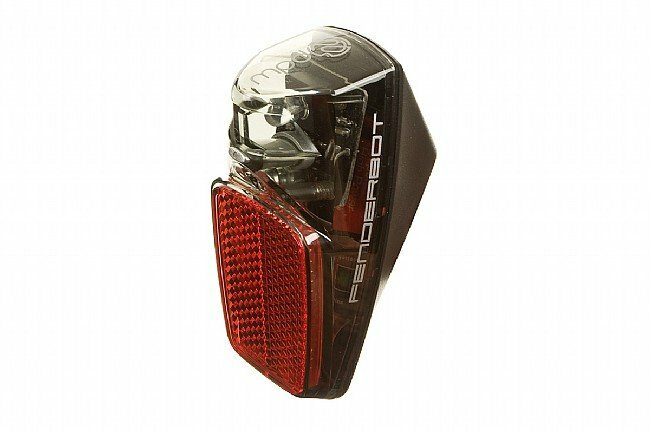 Like the RadBot lights, the FenderBot comes equipped with a precision reflector and single LED to stare down vehicles. It's easy to install -- simply drill two holes and bolt it in (hardware included). The holes in the packaging even double as a handy drill guide. Once the light's in place, it's not going anywhere after you lock up. The Fender Bot features a 200 hour battery life and two lighting modes: flash and rock steady. AAA Batteries included. 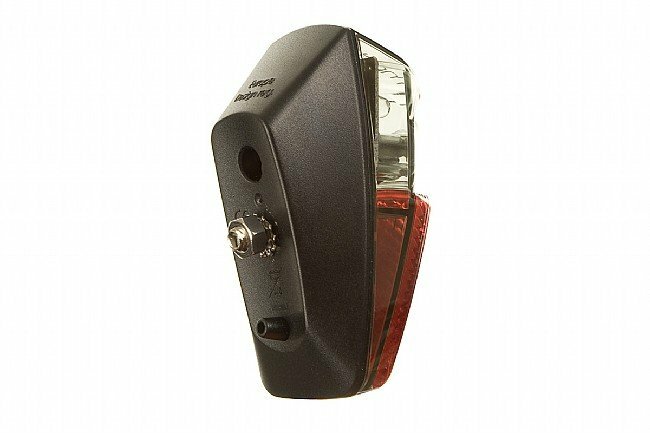 Note: Based on the FenderBot's burn time compared to other PDW rear lights, we estimate its power output around 0.25 watts. This is information is not provided by the manufacturer.